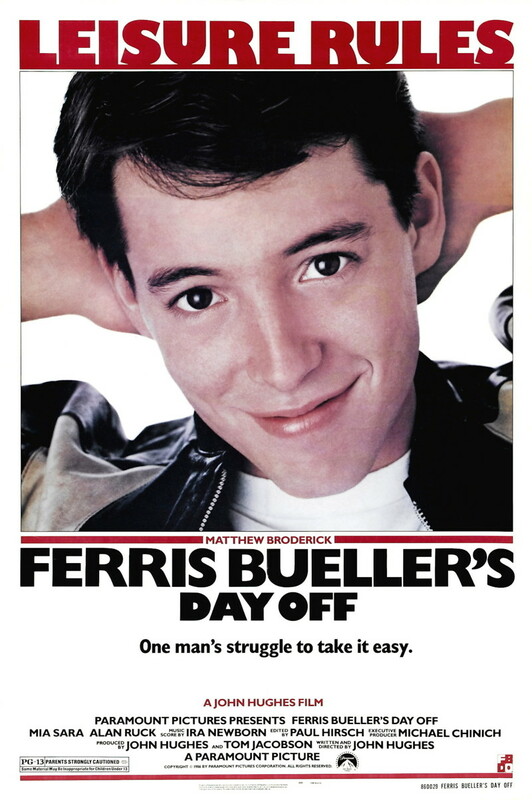 "Ferris Bueller's Day Off" revolves around the classic teen tendency to play hooky. However, it isn't enough for Ferris to simply pretend to be sick. Instead, he decides to reach toward new heights of delinquency. His best friend Cameron and his girlfriend Sloane accompany him on his day of adventures, though they aren't always as sure as he is that this is a good idea. Cameron is particularly nervous since they are joyriding in his father's prized car. Throughout the day as they gallivant through Chicago, they must evade their relatives and the school officials who strongly suspect that there is some mischief afoot. Ferris is an extremely confident young man who delights in his trickery; in asides, he shares his secrets with the audience.